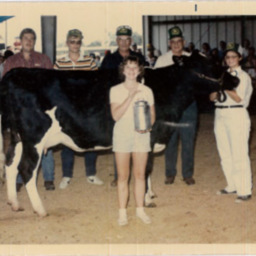 Photograph showing a 1969 4-H exhibit at the Shenandoah County Fair. 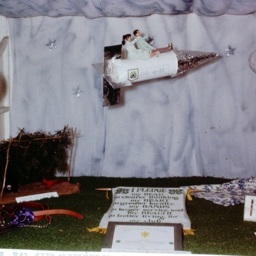 It highlighted, among other things, the recent moon landing. 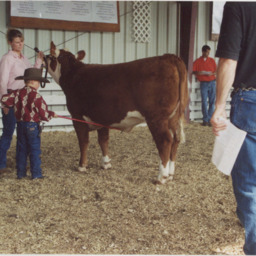 Photograph of an unknown boy showing a cow at the Shenandoah County Fair. 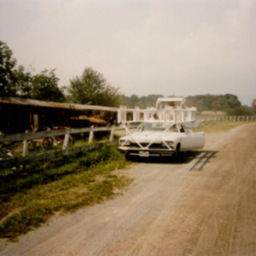 Undated photograph showing the harness racing pace car at the Shenandoah County Fair. 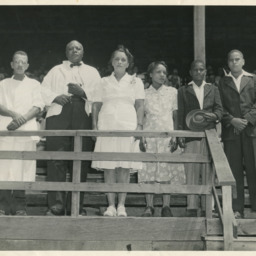 Photograph showing six unidentified people with a dairy cow at the Shenandoah County Fair. 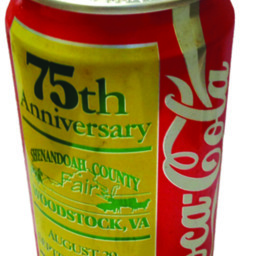 Digital image showing a special Coke can produced for the 75th Anniversary of the Shenandoah County Fair in 1992. 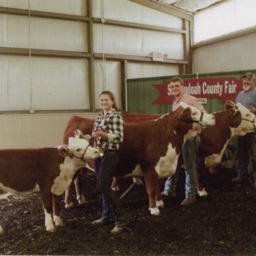 Scan of a photograph showing Jacob Coffee with cows Alice, Bonnie, and Viola at the 2016 Shenandoah County Fair. 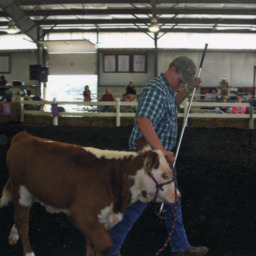 Scan of a photograph showing Jacob Coffey and an unidentified juvenille and "Bonnie" the Reserve Grand Champion Heifer at the 2015 Shenandoah County Fair. 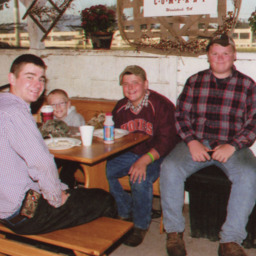 Scan of a photograph showing Garrett, Jacob Coffey, Garrett C. and Kyle L. at the 2014 Shenandoah County Fair. 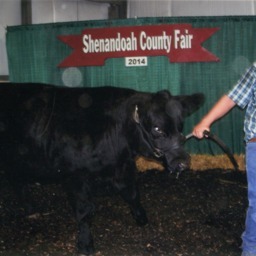 Scan of a photograph showing Jacob Coffey showing the cow "Magnum" at the 2014 Shenandoah County Fair. 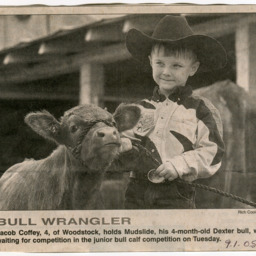 Scan of a September 1, 2005 newspaper article showing Jacob Coffey of Woodstock Virginia holding his bull at the Shenandoah County Fair. 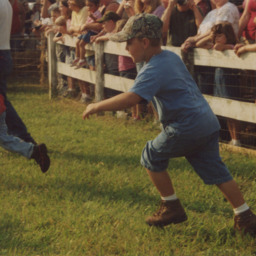 Scan of an undated photograph showing a child in the grease pig contest at the Shenandoah County Fair. 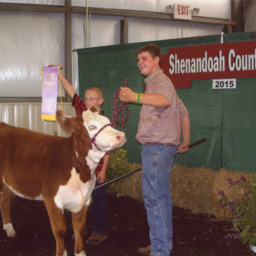 Jacob Coffey showing "a Boy Named Sue"
Scan of a photograph showing Jacob Coffey showing the cow "A Boy Named Sue" at the 2014 Shenandoah County Fair. 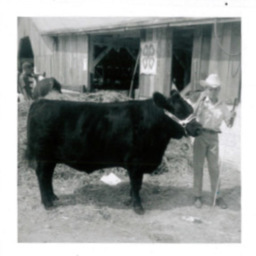 Scan of an undated photograph of Jacob Coffey showing a cow at the Shenandoah County Fair. 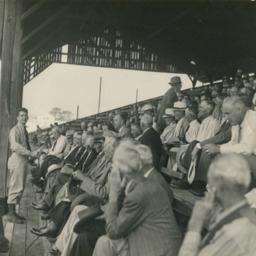 Scan of a photograph showing a crowd watching an activity at the Shenandoah County Fair from the grandstand. 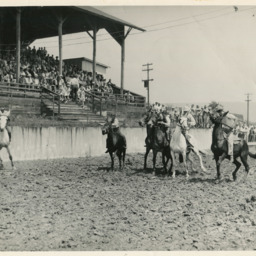 Scan of an undated photograph showing a western horse and gunfight show at the Shenandoah County Fair. 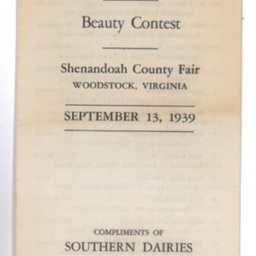 Scan of the Sourvenir Program for the 1939 Shenandoah County Fair's Beauty Contest. 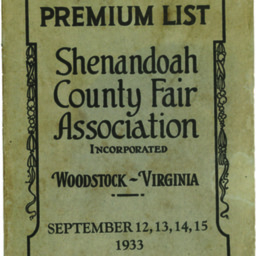 Scan of the 1933 Shenandoah County Fair's Premium Book's cover. 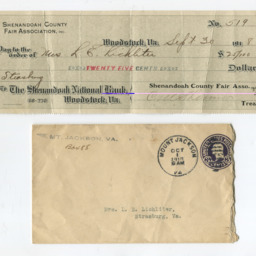 Scan of a check and envelope sent from the Shenandoah County Fair Association to Ms. Charles Lichliter, stockholder on September 30 1918. 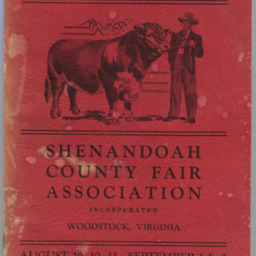 Scan showing the cover of the 1965 Shenandoah County Fair Premium Book. 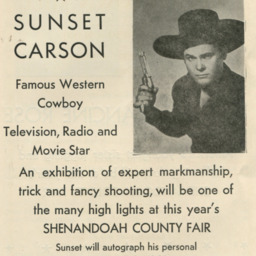 Scan of an advertisement for the Sunset Carson, Famous Western Cowboy Show at the 1954 Shenandoah County Fair. 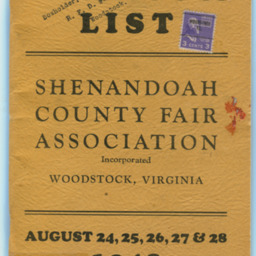 Scan showing the cover of the 1954 Shenandoah County Fair Premium Book. 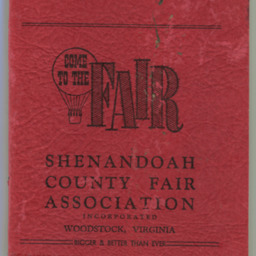 Scan showing the cover of the 1950 Shenandoah County Fair Premium Book. 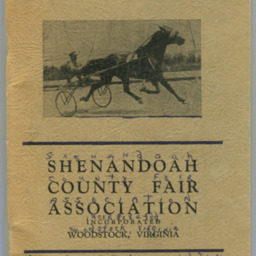 Scan showing the cover of the 1948 Shenandoah County Fair Premium Book. 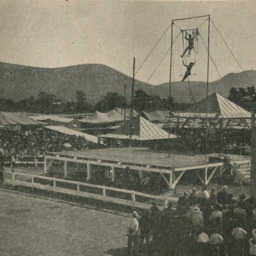 Scan of a photograph showing a high-wire act at the 1940 Shenandoah County Fair.